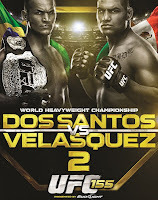 UFC 155 Dos Santos vs Velasquez Fight Pick | MMA Fighting Events Videos Techniques UFC Fight Picks and News. UFC 154 halted my main event fight pick winning streak at 10. 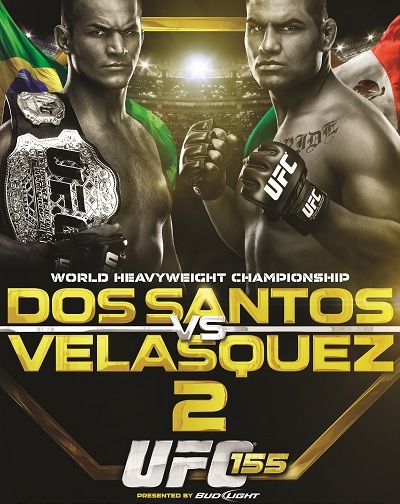 With my fight pick for UFC 155: Junior Dos Santos vs. Cain Velasquez, I'm confident I will start another solid streak heading into 2013. This is no easy pick for me either, as last time they met, I picked it wrong! But I've done the homework and as always, I'll share it with you. 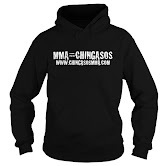 Then I'll make my official UFC 155 main event fight pick. Lets take a look. Junior Dos Santos is the best boxer in the UFC Heavyweight division. Not only that, but he also couples that with a great takedown defense. That great takedown defense allows him to be able to showcase those hand skills even against big strong wrestlers. Worse for his opponents, his boxing isn't just for pretty looks and peppering shots, his fists have bonafide devastating KO power! He's now 15-1 with 11 of those wins coming via KO/TKO. He recently demolished UFC vet and former champion Frank Mir, finishing him off with power punches a couple of minutes into the second round. Cain Velazquez is the best wrestler in the UFC heavyweight division with formidable striking to boot. He used that solid combination and a great work ethic to win the UFC Heavyweight title. Many thought he would hold on to that belt for a long time but then Dos Santos landed a solid overhand right to his ear area and snatched the belt away. Since that loss, Velasquez showed that he still has the work ethic and desire to become champion once again. He elevated his record to 10-1 with 9 KO/TKO victories when he ran through Big Foot Silva in his last fight. In the rematch, at UFC 155, Cain Velasquez knows the mistakes he made and needs to correct. Junior Dos Santos didn't make any mistakes in their first fight, so he'll have to fight his fight and hope that it is good enough once again. Velasquez, I believe will rectify his mistakes, be more aggressive in his takedown attempts and push the fight into the later rounds where his superior conditioning will become an advantage. Look for Cain Velasquez to regain his title in via judges decision, or late round ground and pound TKO over Junior Dos Santos.